There are seemingly endless options to become your own boss, but what are the best start-up businesses for women? Although it is ultimately an individual decision, we have chosen to look closer at five fabulous start-up businesses for women that can be started relatively easily and that are financially and personally rewarding. If you enjoy baking for your family and friends, you might have marketable culinary skills that could be turned into a money-making business. This flexible career can be started part-time using a home kitchen or by renting a commercial kitchen space. When opening a bakery business, you can begin by offering popular products that have wide appeal or try focusing on specialty baked goods with a niche market. 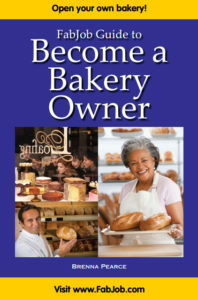 Bakery owners have the freedom to create their own combination of offerings: delicious breads, brownies, cakes, cookies, pastries, pies, or other baked goods. You can choose various venues to sell your baked goods including a traditional store-front, online custom orders, and commercial sales to restaurants. Consumers are increasingly buying local and looking for organic or gluten-free options. New bakery owners might even set-up at their local farmer’s market as a way to reach more customers. Closet organizers find creative solutions for everyday storage challenges. Envision your satisfaction when you help clients dig their way out of cluttered spaces while solving their closet confusion. In a financially rewarding career as a closet organizer, you will enjoy how changes to each client’s closet results in huge improvements in their routine as well as reducing their daily stress. Did you know it costs an average of $10 per square foot to store items in a home? Many people have so much stuff that they have no idea where to put it all, or if they should part with it. And since we typically wear 20% of our clothes 80% of the time, there is a good deal of valuable real estate inside our homes. Closet organizers work their magic in a variety of spaces including: bedrooms, children’s rooms, offices, and entryways. Busy professionals, elderly couples, and families with children can all benefit from your services and are willing to pay for help with organizing. 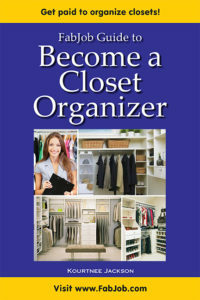 For example, you could earn $500 or more to organize a large walk-in closet. Do you love to take care of children? Daycare owners provide daily supervision and care for children in a setting you choose. This hands-on occupation involves planning and participating in schedules, activities, and meals for children of various ages and abilities. Professional childcare is needed in all communities, from small towns to large cities. As long as parents are in the workplace, there will be a need for childcare. 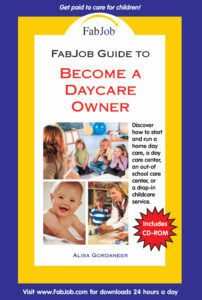 Daycare owners can operate out of their own homes or work in a daycare facility with other staff members. Many women start-up an in-home daycare business because it allows them to look after their own children while earning an income. The National Association of Child Care Resource and Referral Agencies reports that two-thirds of all children under the age of six are routinely cared for by someone other than a parent. Daycare providers have a great sense of social responsibility, and it is the caregivers and teachers of children who will help shape the next generation. Can you get paid to shop? Absolutely—personal shoppers are hired by all types of people from time-strapped executives to busy moms. While some personal shoppers specialize in a particular area, others may shop for virtually any product or service their clients want such as clothing, accessories, or gifts. Many people do not trust their own taste or feel overwhelmed by all the options available in stores and online. This need provides a ready-made population of prospective clients ready for a personal shopper’s service. 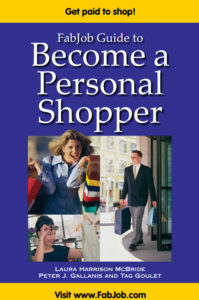 Personal shopping careers can take several forms: running your own business which caters to numerous individuals or corporate clients; working as a contractor or employee for an online personal shopping service that sources goods from a variety of businesses (this might include everything from clothing to groceries); and working as an employee for a single large retailer or specialty boutique. Personal shoppers are always learning about current and upcoming trends in fashion, design, and culture, which makes for an exciting career. Virtual assistants are in-demand administrative professionals who provide personal assistant or office assistant services from the comfort of home or other remote locations. Corporations have an increasing need for virtual assistants due to downsizing and outsourcing of jobs that were previously done by internal employees. Some virtual assistants choose to provide virtual office assistant or virtual personal assistant services for busy professionals such as authors, entrepreneurs, real estate agents, doctors, or lawyers. 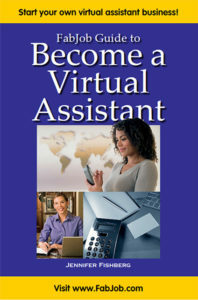 You might even become a virtual assistant for professional associations or nonprofit organizations. A virtual assistant’s specialization can include clients who work in a particular industry or involve specific skills and areas of expertise. By honing your virtual assistance niche, you will stand out from the crowd, increase potential income, and be better equipped to meet your clients’ needs. This up-close look at the five best start-up businesses for women is just the tip of the career iceberg. There are myriad possibilities for women seeking their dream careers, and FabJob.com has over 100 career guides with expert advice and insider tips to boost the success of any start-up. To find more start-up businesses for women, visit http://fabjob.com/program-category/guides. Are you a fan of shows like Antiques Roadshow or American Pickers? These shows illustrate that there are amazing historical items to be found in people’s collections which are often quite valuable. When you become an antiques shop owner, you will be connecting people to objects that have special meaning for those purchasing them. This career is perfect for research hounds who love to shop for bargains and enjoy working with people. What Do Antiques Shop Owners Sell? Whether it involves true antiques or more commonplace collectibles, an antiques shop owner can appeal to buyers seeking both types of lucrative items. An antique is usually an object at least 50 to 100 years old that is valued for its beauty and historical importance. Collectibles are of more recent vintage, less than 100 years old, but have that same aesthetic and historical charm or have some other cultural importance. Decorating with antiques is popular with both older and young adults just starting to decorate their first homes. Interior designers and decorators frequently search antique shops and auctions for the perfect piece for their projects. As an antiques shop owner who gets to know decorators’ needs and tastes, you can quickly gain a steady clientele. An antique piece of furniture is often less expensive than a new one, especially if it is in need of some work. Revamping antique pieces can is a hobby for many people. When you become an antiques shop owner, you can offer pieces ready for refinishing or even add furniture restoration to your list of services. Collecting often moves in trends or fads, but you can identify that a trend is stirring if you stay in the loop by reading antiques publications and talking to others in the industry like dealers and collectors groups. As an antiques shop owner, you may find that household items like lamps, dishware, kitchen utensils, artwork and so on, are deemed collectibles that will be sought-after. Sellers of antiques come in various shapes and sizes that allow for a truly custom business model. You can focus on whatever area of antiques or collecting you’re most interested in. Doing research in your specialty niche will help you become the “go to” expert for whatever concentration you choose. As an antiques aficionado, you can also offer seminars on antiques or contribute to articles or blogs. A storefront antiques shop is a frequent ambition, but it does require a large inventory and regular business hours. Antiques malls offer a space sharing arrangement with month-by-month rentals to showcase your offerings. Auction houses buy and sell antiques from estate sales and collectors at auctions while also increasing their shop’s inventory. Collectibles dealers concentrate on the latest trendy items of interest to collectors. An antiques shop owner can also enhance their inventory with modern collectibles. Secondhand inventory of gently used items can add a revenue source to any antiques business. In this industry, consignment arrangements in which a percentage of the sale goes to an owner help keep inventory costs down while providing new pieces for display. Flea markets and antiques shows occur over most weekends in many communities and provide an instant avenue to sell items and meet the public. Online and virtual antiques dealers can market their items to customers all over the world and easily reach an interested collector who is searching for specific antiques. Offering antiques repair and restoration will appeal to many clients and help to improve the condition of your own inventory. Making appraisals and consulting with purchasers and other dealers can help those looking for guidance on what to purchase and how to budget for their collection. As an antiques store owner, there are numerous avenues to produce income. You can choose the business model which most appeals to you and works best for your clientele. To learn how you can get started in a dream career as an antiques dealer, check out this free sample from the FabJob Guide to Become an Antiques Shop Owner. 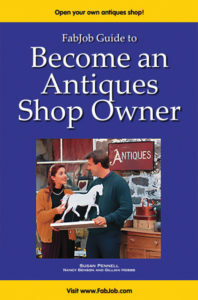 For more information, visit http://fabjob.com/program/become-antiques-shop-owner. Do you often get compliments on your fabulous fashion accessories? Turn your flair for style into a fulfilling career when you become an accessories store owner and get paid to help people look and feel wonderful with stunning additions to their wardrobe. As the owner of a fashion accessories store, you’ll get to shop for the hottest accessories and be among the first to know about new style trends. Whether your store is a small kiosk or cart exclusively selling your favorite type of accessory, or a large retail location that offers all types of fashion accessories, you can take control of your future and enjoy the freedom of being your own boss. What is a Fashion Accessories Store? When you become an accessories store owner, you have the luxury of selling items of your choosing and expressing your creative spirit through your shop. Maybe you would like to focus on trendy fashion accessories for the lucrative teen market. Or maybe you want to open a high-end accessories store to attract wealthy clients. Spend your days working in the midst of attractive items such as belts, gloves, hair ornaments, handbags, hats, jewelry, scarves, shoes, sunglasses, wallets, watches, and other accessories. A fashion accessories shop is practically recession proof. Fashion accessory expert T.J. Reid reports that women tend to become more hesitant about spending money for entire new outfits during economic downturns. But even if they won’t spend lavishly on new clothing, they’re happy to buy more accessories to update old looks, says Reid. Why Become an Accessories Store Owner? Whether it’s a small kiosk in the mall or a 3,000 square foot location that offers all types of accouterments, you can have the freedom of creating the type of business you want. “You are your own boss! You have the ability to stay small or grow the business to the point at which you feel comfortable.” — Stephanie Witlock, owner of Stephanie’s Shoes. Fashion accessories are a multi-billion dollar industry. When you become an accessories store owner, you will have a piece of that pie. There’s really no limit to the financial opportunities available in this sector once you learn to forecast fashion trends. Another reward of owning a fashion accessories store is being able to support a lifestyle of exploration and travel. You may visit industry trade shows and markets around the country, seeking out new fashion accessories to add to your inventory. Maybe you’ll even travel overseas, representing yourself to manufacturers in other countries. 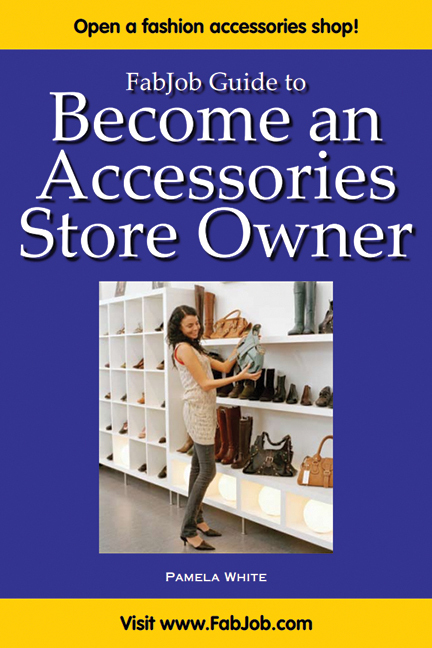 To learn how you can get started in a dream career as an accessories store owner, check out this free sample of the FabJob Guide to Become an Accessories Store Owner. For more information, visit http://fabjob.com/program/become-accessories-store-owner.